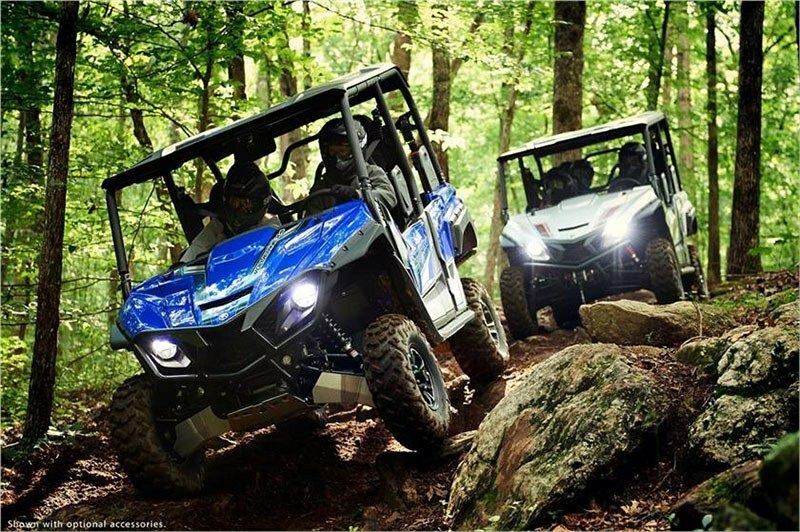 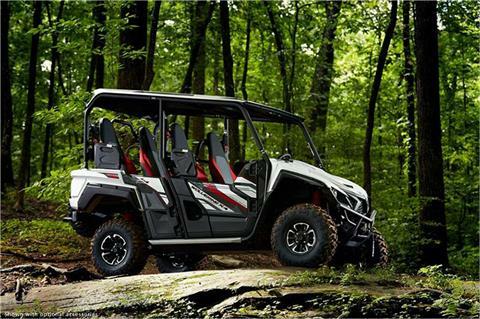 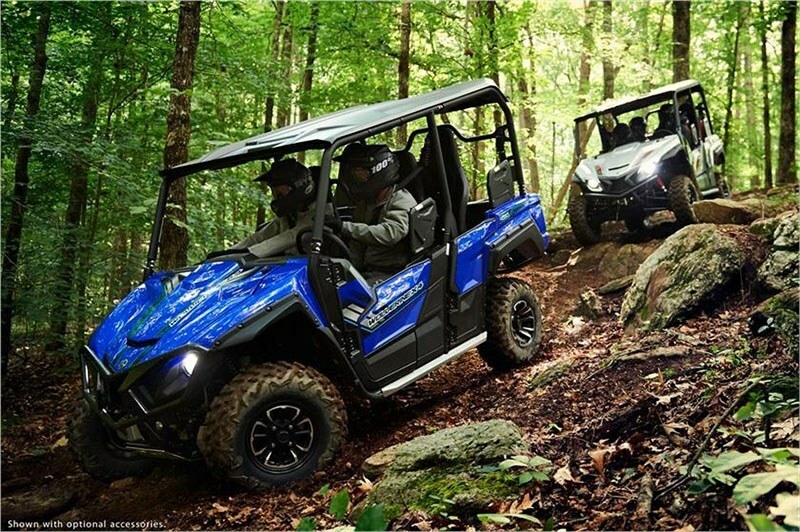 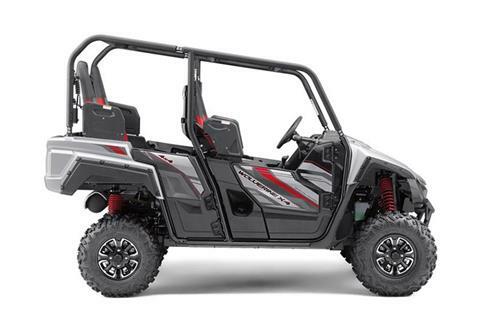 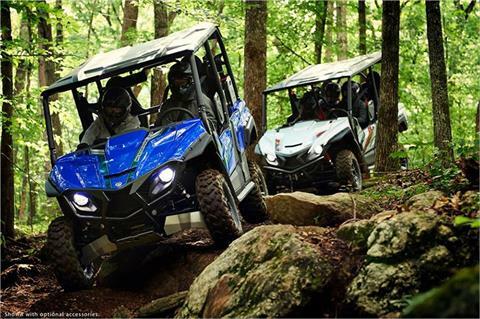 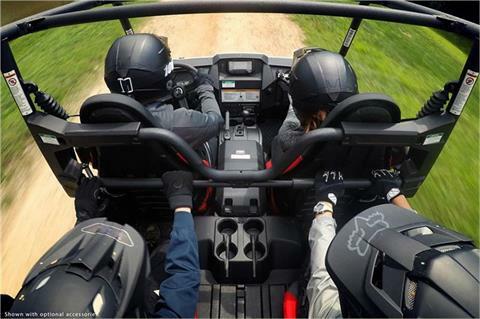 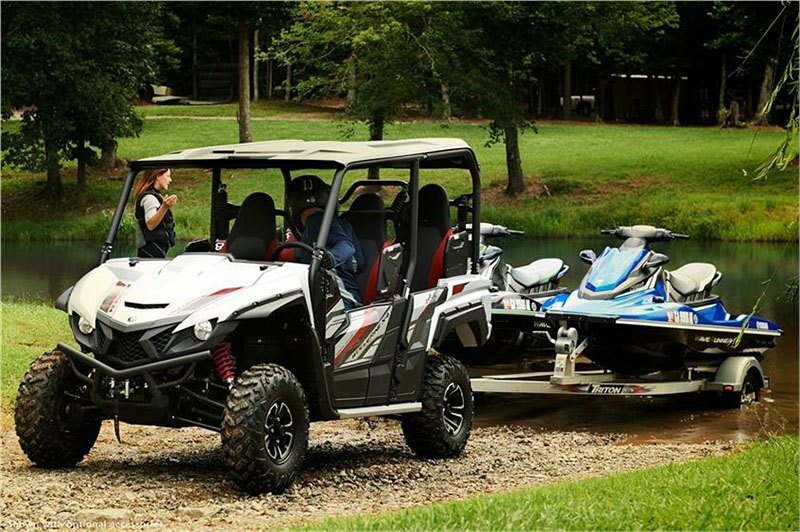 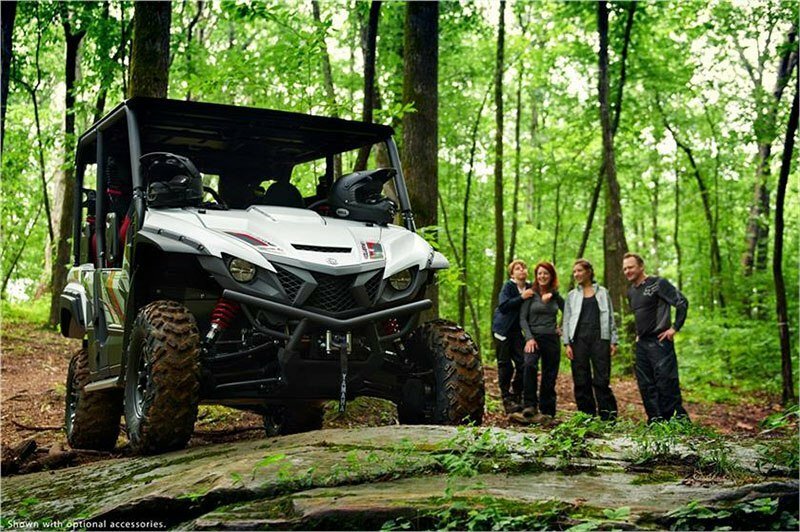 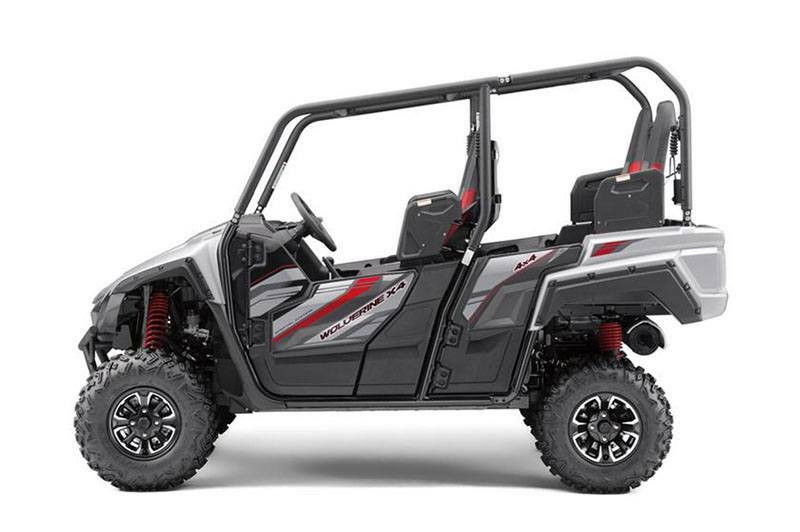 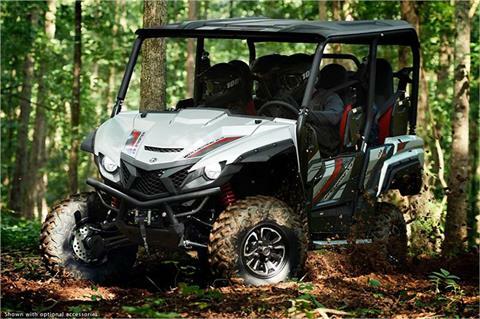 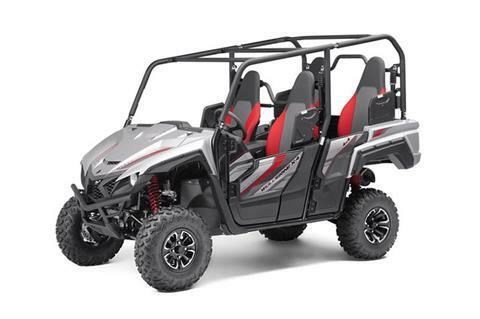 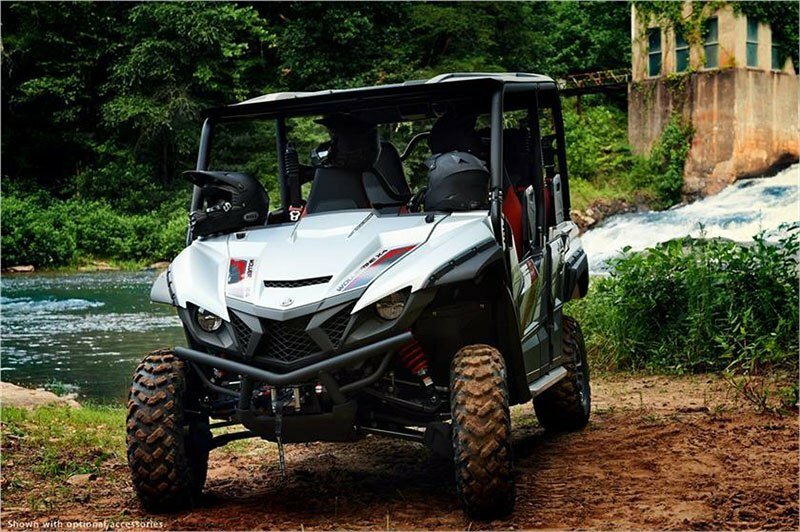 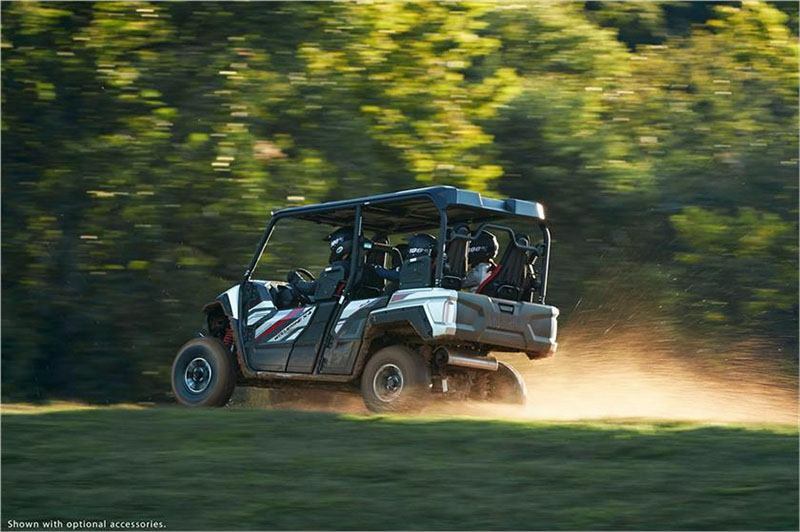 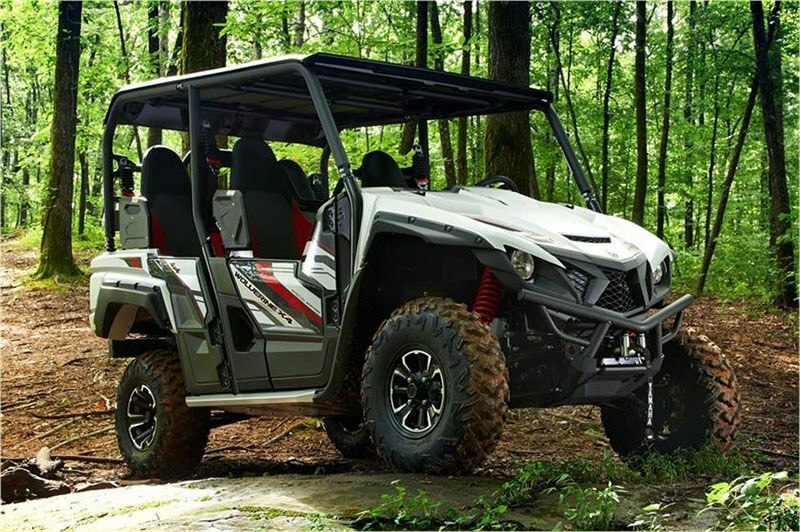 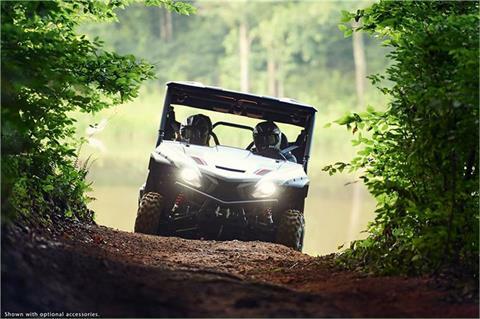 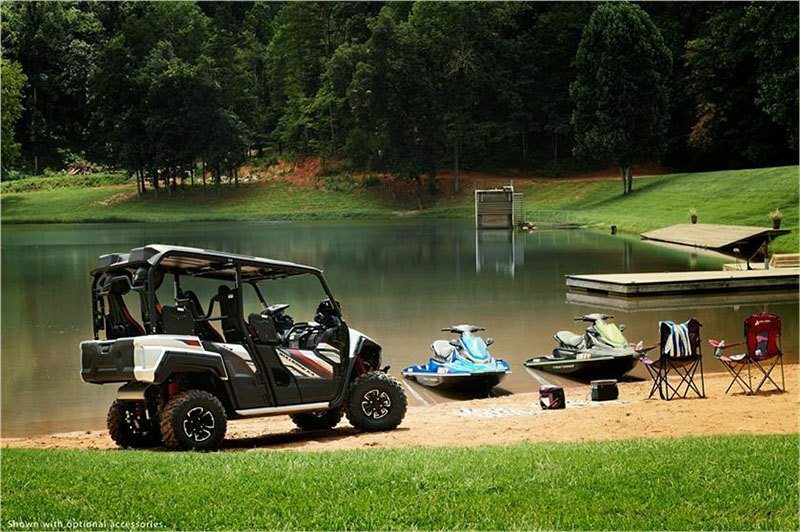 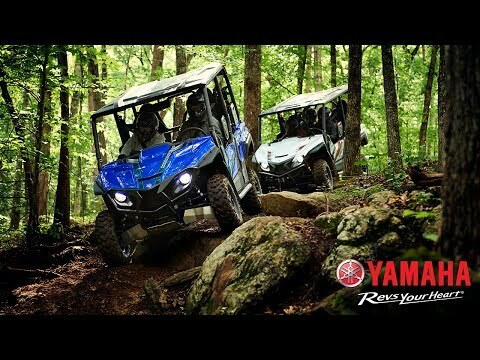 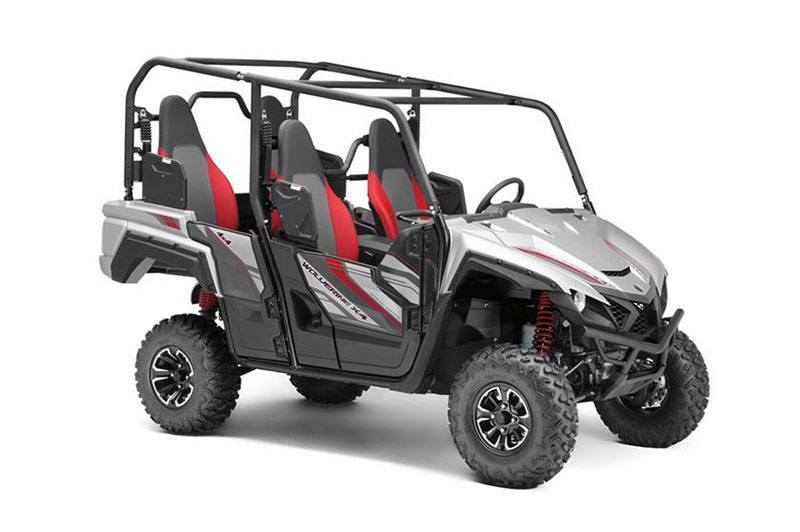 Special Edition painted exterior, color-matched interior, overfenders and more adorn the most off-road capable two- or four-seat trail exploring Side-by-Side available. 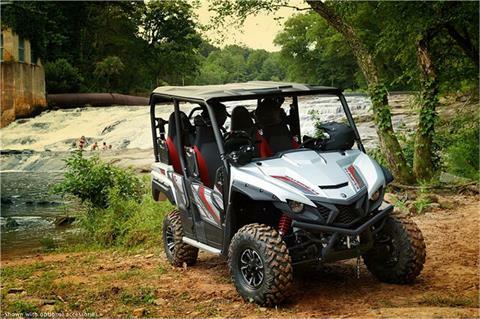 TWIN-CYLINDER ENGINE: The Wolverine X4 SE is powered by an 847 cc DOHC, eight-valve, inline twin-cylinder motor that features the full range of Yamaha’s advanced performance technologies. Forged pistons and connecting rods ensure durable high-rpm performance, with Yamaha’s 270° Crossplane Concept Crankshaft for linear torque development and excellent power throughout the rpm range. 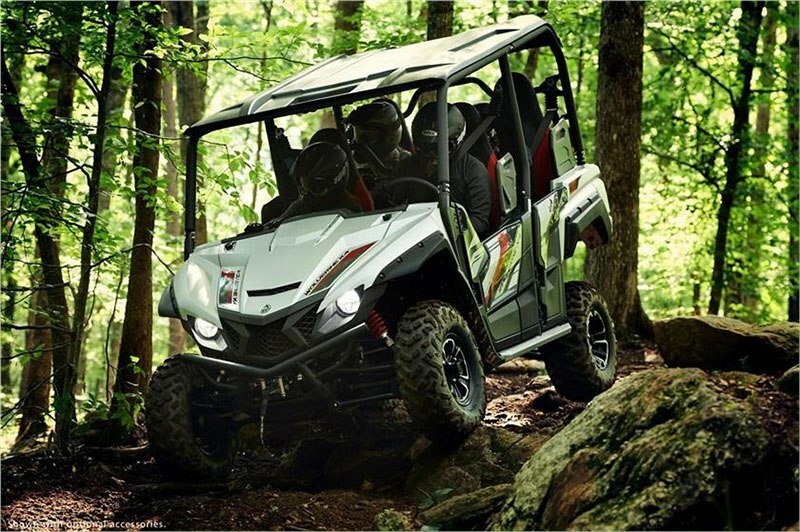 To improve efficiency, the engine features a dry-sump design for a more compact layout and offset cylinder block to reduce friction loss, while rubber engine mounts and a geared counter-balancer ensures smooth running from idle to redline. 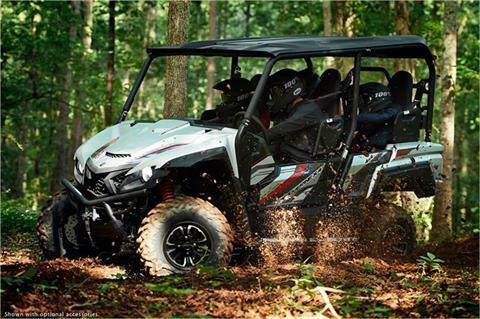 847CC TWIN-CYLINDER POWERPLANT: Featuring drive-by-wire throttle, a 270-degree crankshaft design and lightweight internals, the Wolverine X4 SE shares performance technology with Yamaha’s class-leading sportbikes, for thrilling power on every ride.